It too often plods or meanders. Vomit is spewed in abundance when principal characters aren’t inhaling either cigarette smoke or various body parts. There’s a sense throughout that a long-term investment will at best yield the equivalent of a penny slot machine payoff. And yet I watched the whole damned 13-episode first season of Hemlock Grove before making a final judgment. It went up in its entirety last Friday (April 19th) on Netflix, which earlier made a very favorable first impression with its Americanized version of House of Cards. It’s a new way of looking at things -- and very time-consuming as well. And if House of Cards turned out to be a pleasure, Hemlock Grove is more of a dutiful slog. But it does have moments of spine-tingling intensity, with Episode 10 a powerhouse in that respect. Hemlock Grove’s leading man is horror-meister Eli Roth, whose previous behind-the-camera credits include not-for-the-faint-of-heart outings such as Hostel, Hostel II and Cabin Fever. As with an unsettling great majority of TV blood-fests, the series principally preys on young women. So did the early episodes of Fox’s The Following and NBC’s Hannibal. In this case, a terribly mutilated coed corpse puts the small Pennsylvania town of Hemlock Grove on full alert. It’s initially believed that only a four-legged animal could do such damage. But what if it were a werewolf? And what if a new-in-town gypsy duo -- high schooler Peter Rumancek and his mom, Lynda (Landon Liboiron, Lili Taylor) -- were capable of such horror? “You’re weird, and kind of mean. But good material,” aspiring kid novelist Christina Wendall (Freya Tingley) tells Peter outside his suitably ramshackle trailer home. She’s got part of that right. Adapted from the 2012 novel by Brian McGreevy and filmed in all-purpose, more cost-efficient Canada, Hemlock Grove slowly weaves in a menagerie of off-kilter characters. Famke Janssen gets top billing as domineering, evil-seeping Olivia Godrey, heir to a mysterious, very guarded medical research facility that towers over the town after the old Godfrey Steel Mill went under. She has two kids, the constantly belligerent Roman (Bill Skarsgard) and his mute, stooped, deformed younger sister, Shelley (Nicole Boivin), who’s the height of a pro basketball center and has one eye with a pupil the size of an egg yolk. But Shelley’s otherwise a good kid, absorbing the taunts of schoolmates while Roman shows a softer side by protecting her. It helps when you’re equipped with a steely stare that can make people do whatever you want. And Roman’s only collateral damage is a relatively minor nose bleed perhaps exacerbated by frequent coke-sniffing. There’s also psychiatrist Norman Godfrey (Dougray Scott), brother of Olivia’s deceased husband J.R., who killed himself. Scott in particular never seems to get his role right on any level, particularly when laughing mechanically in the way a hurry-up-and-act soap star might do. Norman gets prototypically grim-faced, however, upon learning that his daughter, Letha (Penelope Mitchell), is pregnant and believes an angel is the father. Roman and outcast Peter eventually form an uneasy and at times combustible alliance in hopes of tracking down whoever’s killing the young women of Hemlock Grove. “I get this feeling sometimes, like something really important is about to happen,” Roman says ominously. This series regularly takes too long in getting to something even halfway important, although its pulse is quickened somewhat by the arrival in Episode 3 of Clementine Chausser (Kandyse McClure). She’s a religious-minded, lesbian hunter of otherworldly beings masquerading as a Fish and Wildlife Service agent. Clementine in effect is the Agent Dale Cooper of Hemlock Grove, at one point asserting, “I’m not here for your coffee and pie” in an obvious nod to Twin Peaks. She also dubs Roman and Peter “the Hardy boys,” although a more current reference would be to the demon hunters of CW’s long-running Supernatural. Flashbacks fill in some of the principal characters’ gaps, but an overall languorous pace repeatedly tests a viewer’s staying power. Executive producer Roth and company keep going for ominous but too often lapse into tedious. Some of the prolonged dialogues in Hemlock Grove sustain interest and advance the story. But episodes repeatedly bog down when the cutting room floor would have been a much better option. The overall mood music is effectively eerie at times and over-bearing at others. And in the end, Hemlock Grove sort of answers some Big Questions while also making one’s head hurt with some of its bizarro tangles and turns. The producers hope to do a Season 2, and Hemlock Grove almost assuredly will have more appeal for younger viewers than all those older adults on House of Cards did. Those who go the distance might find themselves getting the most mileage out of the characters Peter, Shelley and Clementine, all of whom are appealing in distinctly different ways. There’s ample gore as well, with a transformational scene in Episode 2 about as stark and good as it gets in the horror genre. 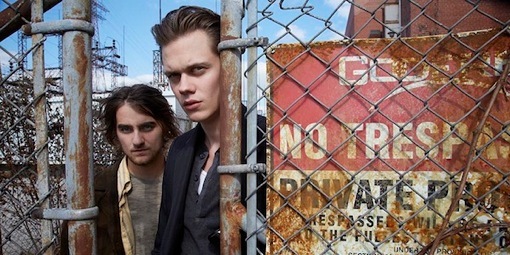 Hemlock Grove overall falls well short of anything resembling sustained brilliance. Still, each episode may well push just enough buttons to pull you along to the next one.